We are excited to announce a more extensive return to the stage in 2017. Following the release of The Irrepassable Gate, we will embark on a North Ameican West Coast tour, which includes multiple stops in cities we've never played before . 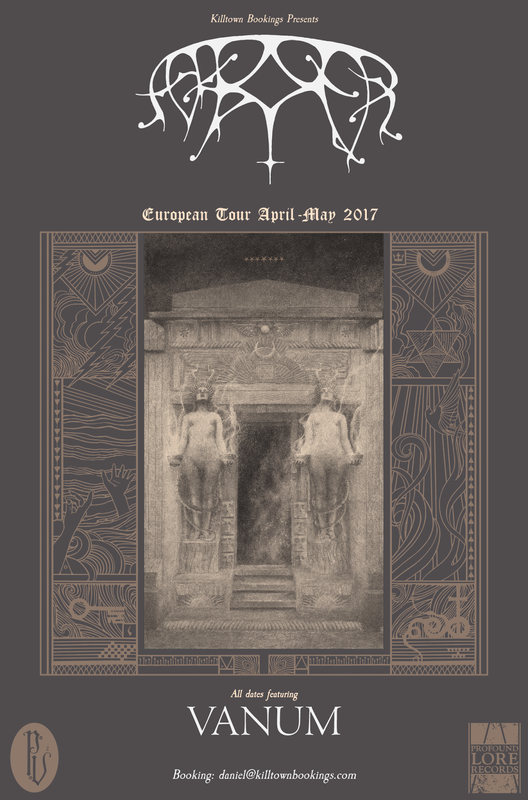 Following that, we will be heading to Europe in the Spring for a 3 week tour with Ash Borer-related proejct VANUM providing direct support. West Coast dates are below. European dates will be announced once all are confirmed. Interested parties can get in touch with our European booking partner, Killtown Bookings.